Me and Linda decided to use matching papers to tie our canvas together better, rather than scraps. If you have a go and your papers are very random do a 'wash' over with cream or white acrylic and it will pull the shades and colours together for you. WOW hun it looks even better now that you have added all the embellishments. 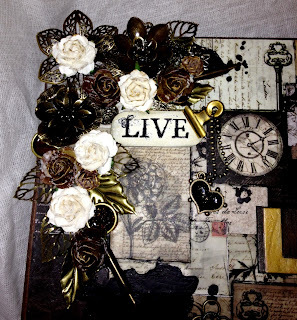 Fabulous project, love the papers you have used - they co-ordinate so well and I love your embellishments - clever girl!! Amazing Kath! Thanks for taking part in our first challenge at "Just For Fun!" 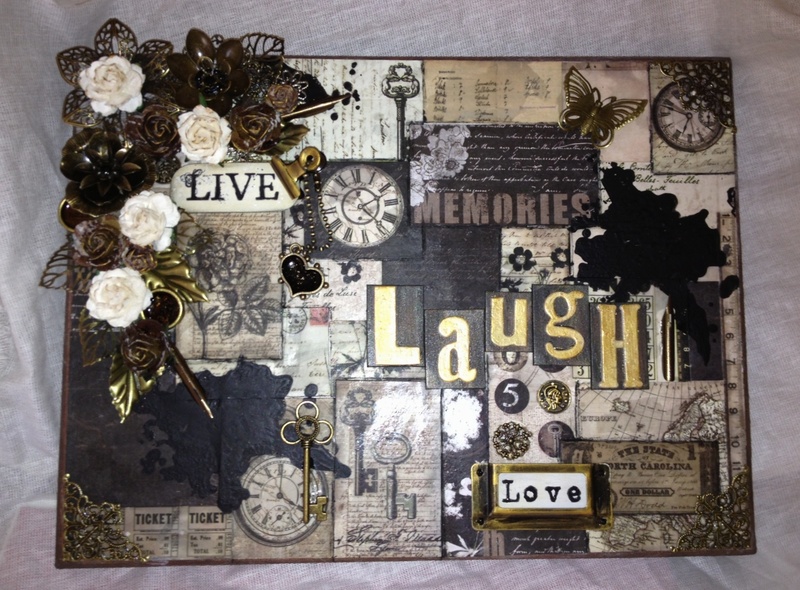 Fantastic canvas! Lot's of lovely details to look at! This is gorgeous Kath. Love the papers and all the detail. The floral arrangement is beautiful. Beautiful work of art! 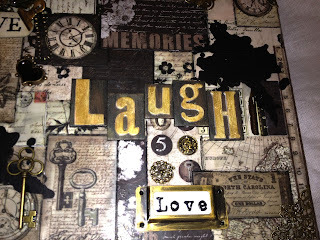 Thank you for playing along with us at Altered Eclectics August challenge. So many wonderful elements for the eye to take in. I used to be on the DT over at LEJ Designs...remember me? 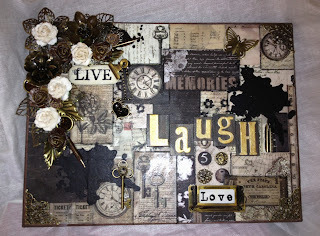 I love this...I have been doing a white wash on some cards lately. Love how it truly ties things together. Nice Job. Glad you entered the challenge at Altered Eclectics...good luck! Lovely card. Thank you for joining in the first Just for Fun challenge.